We surveyed lichens in an extensive area of lowland deciduous oak and beech dominated forest under wood pasture management within the New Forest National Park, southern England. This provided the basis for an investigation of factors affecting the species density and composition of epiphytic lichen communities. Fifteen 1 hectare plots were established in the same sites as a parallel invertebrate survey, of which nine were in old growth forest and six in oak plantations of between c. 150 and 300 years old. In each plot 12 trees were identified for sampling and lichens were sampled on four aspects of each trunk. Results at the plot level showed that species density was significantly higher in the old growth woodland plots from those in plantations. Plot age had a significant effect on species on oak but this was not significant for lichen communities on beech. The species density of lichens associated with Trentepohliaceae photobionts on oaks showed a linear positive relationship with increasing plot age while the species density of species with other coccal green Chlorophyta decreased with age of the plot. A major part of the lichenised fungi with Trentepohliaceae photobionts includes indicator and notable species used in conservation evaluation and this component is most affected by fragmentation and isolation of forest sites. The results emphasise the importance of long term connectivity and ecological continuity in this extensive mosaic of lowland deciduous forest. Communicated by Pradeep Kumar Divakar. The online version of this article (doi: 10.1007/s10531-016-1250-3) contains supplementary material, which is available to authorized users. Lichens have long been used as indicators of environmental change due to their comparatively slow growth rates, their occurrence across a wide range of conditions and the association of different species with specific microhabitats that develop over time (Ellis and Coppins 2010; Giordani et al. 2012; Hawksworth 1974). As a symbiosis of a fungus and a photobiont, or multiple photobionts, with the photobionts providing the nutrition for the system, they are highly dependent on the ecological limitations of their photosynthetic partner (Hedenås et al. 2007; Marini et al. 2011). In the field three major groups of lichen photobionts can be readily identified: two groups of Chlorophyta algae and cyanobacteria. Most lichenised taxa within the Chlorophyta are impossible to identify in the field, except for the family Trentepohliaceae. In this family lichenised cells usually retain a characteristic yellow–orange colour which is often visible in the lichen thallus after removing overlying fungal tissues. Lichens with this group of algae as a photobiont are collectively described as trentepohlioid. Trentepohlioid algae are predominantely associated with lichens in a stable environment of temperature and moisture e.g. associated with wet tropical conditions and with sheltered woodlands in temperate conditions (Marini et al. 2011). The presence of veteran trees in forests of unbroken ecological continuity is associated with a specialist group of lichens that are used as indicators of old growth forests. This group includes a high percentage of trentepohlioid and cyanobacteria-associated lichens (Rose 1976; Coppins and Coppins 2002). Other photobionts which lack an orange–yellow pigmentation are here summarised as coccoid green Chlorophyta. Many lichens with coccoid green Chlorophyta tolerate high light intensity and pronounced alternate drying and wetting cycles (Candotto et al. 2015), resulting in the prevalence of these lichens in well-lit sites such as in the canopy or in open-grown wood pasture. The evidence for woodland continuity in European woodlands rarely exceeds a few hundred years. 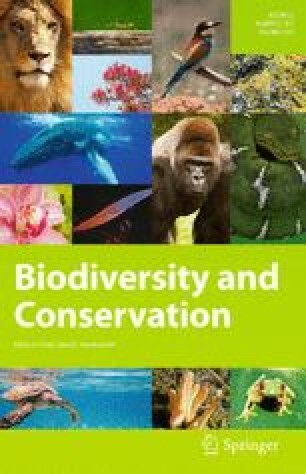 Contemporary research deals mainly with plantations and with sites where human management has allowed ancient trees to survive (Ranius et al. 2008). Yet prior to the arrival of humans most of Europe was covered in woodland (Kaplan et al. 2009) which also supported a great variety and number of grazing animals that are thought to have created open wood pastures with lawns and open spaces (Rose 1992; Vera 2000). Wood pasture supports a range of tree species, ages and tree densities, including open-grown trees with low branches, veteran and decaying trees as well as standing and fallen dead wood (Harding and Rose 1986; Leppik et al. 2011; Rose 1992), all of which provide a diversity of specialist niches for epiphytic lichens. The New Forest contains the most extensive area of wood pasture in Western Europe in a landscape mosaic of forest interspersed with areas of heathland both of which have been preserved since the creation of the forest as a royal hunting preserve since 1066. Today the wood pasture is maintained as common land for grazing by ponies, cattle, sheep and pigs (Tubbs 2001). This continuity is associated with a great diversity of biota (Newton 2010) and the New Forest was declared a National Park in 2005 and a special area for conservation (SAC) by the European Commission (2012). Within the National Park there are also plantations of native oaks that were created as enclosures from c. 300 years ago and this practice continued up to c. 150 years ago. This landscape has provided us with an opportunity to investigate the distribution of lichen communities across the New Forest in both old growth and plantation woodlands, as well as the effects of isolation and fragmentation where changes in management practices have occurred within and around the forest. The establishment of 15 one ha plots in both old growth wood pasture and in enclosed plantation woodlands of the New Forest for quantitative soil macrofauna sampling (Carpenter et al. 2012) provided a basic structure within which to undertake a quantitative survey of epiphytic lichens, to explore patterns of epiphytic lichen species density and composition, as well as their associated photobionts in relation to substrate, tree species and plot age and to correlate these with the effects of fragmentation and isolation of woodland sites in an area of lowland Britain where human population density has remained comparatively low. The New Forest National Park covers approximately 56,000 hectares of wood, heath and settlements between the cities of Bournemouth and Southampton. Although it is an area of low air pollution today, it formerly was affected by the oil-fired power plant at Fawley (Rose and James 1974; Morgan-Huws and Haynes 1973) that was decommissioned in 2013. As recently as 2005, high levels of SO2 were emitted exceeding 266 mgm/m3 more than 60 times in that year (DEFRA 2015). Rose and James (1974) reported effects from high levels of SO2 while the power plant was operating, particularly on the abundance of Lecanora conizaeoides on exposed trees around Tantany wood, which is only 7 km west of the power station. The New Forest has been known for its rich lichen communities since the 19th century when Crombie recorded that highly pollution sensitive cyanobacterial lichens in the Lobariaceae and Pannariaceae were frequent (Crombie 1894). These now include the most threatened or extinct species in the New Forest (Sanderson 2010). The National Park includes large areas of old growth forest as well as oak plantations ranging from c. 150 to >300 years old (Carpenter et al. 2012), now maintained as wood pasture. In our study the major tree species included oak—Quercus petraea, Quercus robur (and hybrids of those two species), beech (Fagus sylvatica) and holly (Ilex aquifolium) together with a range of other native and introduced species at low densities. The pattern of lichen species density on different age classes of oak is complicated by the presence of Q. robur and Q. petraea (as well as hybrids in the plots). Both species occur widely and hybrids are common due to the early plantations being seeded from local acorns. As a result in this paper Q. petraea, Q. robur and hybrids are treated as a single taxon in the analysis. Sites for survey were allocated using mapped vegetation units supplied by the Forestry Commission, which distinguished historic old growth woodlands from plantations. Fifteen woodland plots, already defined for a soil macrofauna survey (Carpenter et al. 2012) representing deciduous woodland in old growth and plantation habitats and located within core and peripheral areas of the Park (Fig. 1; Table 1) were selected. Based on historic records, summarised in Sanderson (2007), eleven of the plots occur within two main blocks of woodland and four represent wooded areas which have been outliers to these main blocks since medieval times. The northern block includes plots BSW and SWW, the southern block includes plots BWW, MAW, WWW and TTW as well as the enclosure (plantation) sites OII, HWI, SOI, SBI and NPI. Outlying patches of old growth woodland sites are represented by plots RSW, PHW and HLW and enclosure site STI. One hectare plots were identified from a central point marked for the invertebrate survey, and the plot area based on a radius of 56.41 m from the centre, as in the Bioassess project (Scheidegger et al. 2002). Within the hectare plot, sampling points were identified at twelve predetermined distances along compass directions from the central point, and the nearest tree to the sampling point selected in alternate size classes (< and >36 cm diameter). In order to accommodate bark pH as a factor, trees were selected from alternate bark pH groups where this was possible (Scheidegger et al. 2002). Those with relatively acidic bark including all Quercus, Betula, Pinus and Castanea species were distinguished from trees with higher bark pH including Fagus, Acer and Ilex. Tree species were recorded, and girth of each tree at 1.5 m above ground level was measured. Lichens were sampled on S, N, E and W aspects of each tree trunk using a ladder quadrat with five consecutive 10 cm square quadrats, placed at 1.5 m at the upper edge. Species in each 10 cm square were recorded providing a frequency scale of one to 20 for each species on the trunk. Within each quadrat all lichen-forming species were recorded together with lichenicolous fungi and non-lichenised fungi normally included in lichen surveys (e.g. Mycoporum spp.). Specimens were identified to species using standard microscopic techniques and HPTLC (Arup et al. 1993) where necessary. Photobionts in each lichen were recorded—classified as either Trentepohliaceae (Tr), green coccal Chlorophyta (gCl) or absent (NL) and mean frequency calculated for each plot (Table 2). No cyanobacteria associated lichens were observed in the randomised sampling in this study. Species of high conservation value (Woods and Coppins 2012) were distinguished as notables and for each plot the total number of epiphytic species was recorded and the number of notable species given. Plot age was defined from published records (Sanderson 2007; Carpenter et al. 2012), with ancient woodland plots being assigned an arbitrary (large) age of 500 years (Table 1). Plots were defined as old growth or plantation and as isolated or within the central block of woodland (giving four categories: old growth core, old growth isolated, plantation core, plantation isolated). Isolation and fragmentation was calculated for each of the plots using mapping data supplied by the Forestry Commission in ArcMap10 (Carpenter et al. 2012). The size of the habitat fragments in which each of the plots was located was calculated, taking into consideration continuous and contiguous habitats and using an area calculation procedure to generate woodland fragment sizes for each plot (Carpenter et al. 2012). We log transformed fragment size for all analyses (“Logfrag”). We examined two related sets of dependent variables, using univariate and multivariate approaches (ordination). Correlates of species density were explored using a generalised linear mixed model, with a Poisson error structure and a log-link function. Analyses were conducted in R for the following subsets of the data: (1) the entire dataset, with all trees included; (2) Fagus trees only; (3) Quercus trees only. “Plot” was defined as a random factor, all of the other explanatory factors were fixed factors. This allows comparisons between plot-level patterns while taking into account the variation within plots. Best-parameterised models were chosen using the drop1 function (R Core Team 2016). A full model was run and then drop1 was used to show the Aikake information criterion (AIC) of each model with one variable dropped. If the AIC of any single-dropped model was lower than the AIC without a dropped variable, that variable was dropped. This process was continued until the AIC of the model was lower than that with any dropped variables. In most cases this only meant dropping one or two variables from the model. We undertook a constrained ordination analysis in order to assess the relationship between our putative explanatory variables and the species composition of the lichens. Following Lepš and Šmilauer (2003), we undertook an initial unconstrained ordination analysis using a DCA with Hill’s scaling within CANOCO 5, which gave us the gradient length of the first axis of the analysis. This was more than four standard deviation units of species turnover (4.4. SD units) and so a unimodal constrained ordination method, canonical correspondence analysis (CCA), is most appropriate. We also followed Lepš and Šmilauer (2003) in comparing the eigenvalues of axes of unconstrained (CA) and constrained analyses (CCA), in order to check that they had comparable scores, and so that we were not missing major sources of variation. A Monte Carlo permutation test gave us a model of how the explanatory variables were associated with lichen species composition. P values were calculated by permuting only between sites (not within sites) to give accurate between-plots values (i.e. taking into account the split plot design, with trees nested within plots). We only show explanatory variables with significant associations as calculated by the Monte Carlo test in the ordination figures. Simple permutation test results—with each variable tested separately—are shown in the supplementary data. A first, subjective, examination of the CCA results suggested a number of clear clusters in the plot ordination space. To examine this further, we performed a cluster analysis on the scores for the CCA analysis, to confirm that they were separated from each other. The clusters were derived using the agnes command in the R package cluster, which first calculates the pairwise Euclidean distances between plots in ordination space and then assigns plots to clusters using the UPGMA (average distance between clusters) method (Maechler et al. 2016). We did not attempt any probabilistic statistical tests of these clusters to avoid P-hacking (Motulsky 2014). Epiphytic lichens were surveyed on 180 trees. In total, we recorded 131 species of epiphytic lichens including lichenicolous fungi and non lichenised Mycoporum spp. in the quadrats, of which 125 species were recorded in old growth plots and 79 in the plantation enclosures (Appendix). Lichen species density on trunks of tree species was as follows: Quercus supported a total of 112 species on 86 trees with a mean of 10.6 per tree (SD 4.6), Fagus a total of 84 species on 55 trees with a mean of 9.5 per tree (SD 4.3) and Ilex a total of 41 species on 32 trees with a mean of 8.5 per tree (SD 4.5). Epiphytic lichen species density on trees at the plot level shows a significant difference between the old growth woodland plots and the plantation plots in that mean species density is higher in the old growth woodland plots than in the plantations (Table 3). Between the dominant trees, species density is highest on oak in the old growth woodlands >500 years and in plots which are located in forest areas which are not fragmented or isolated. However where a plantation plot is adjacent to old growth woodland (e.g. NPI is adjacent to WWW) the epiphytic species density is almost as high, but the number of notable species is considerably lower in the plantation plot (Fig. 2). The finding of the mixed models were contrasting for the Tr and gCl photobiont based lichen groups in the oak subsample, with age being negatively correlated with species density in the gCl group and positively associated in the Tr group (Table 3). An initial unconstrained ordination gave the following results: axis 1 eigenvalue = 0.46, axis 2 eigenvalue = 0.429. The constrained analysis was able to explain just over half of this total variation: constrained axis 1 eigenvalue = 0.30, constrained axis 2 eigenvalue = 0.21. The pseudocanonical correlations between explanatory variables and the main ordination axes were high: axis 1 = 0.91, axis 2 = 0.79. A summary of the results of the Monte Carlo permutation test are shown in Table 4. The significant continuous variables include plot age and dbh (tree girth) and nominal variables include the association with tree species Quercus, Fagus, Ilex and Betula. It also includes isolation as opposed to extensive core sites. We have distinguished four different clusters (Fig. 3a): (A) the old growth woodlands with dominant oaks of increasing age/dbh, (B) old growth woodlands with a high proportion of beech and including older plantations >240 years old, (C) isolated plots PHW and HLW distinguished by their lichen communities on Ilex and their isolation, (D) the younger plantations 200 years or less. The dendrogram from the cluster analysis (Fig. 3b) reinforces the difference between the plantations (SOI, STI and NPI) in cluster D and the old growth plots in cluster A. The CCA species-environment biplot (Fig. 4) shows the relation of the most frequently occurring (>4% frequency) lichen species to the variables identified in Fig. 3a and their association with the clusters identified in Fig. 3b (the complete list is in the Appendix). Cluster A is associated with the continuous variables increasing age and dbh in the old growth forest. Clusters A, B and C are associated with crustose species that contain a trentepohlioid photobiont, (see table of species in Appendix) while cluster D is characterised by species with a coccoid green Chlorophyta photobiont including lichens with more complex growth forms such as Parmotrema perlatum. Within the groups distinguished by a trentepohlioid photobiont cluster A includes indicators of ecological continuity (NIEC) such as Cresponea premnea, and additional notable species of Porina and Schismatomma. Cluster B instead is distiguished by widespread species with fewer NIEC and notable species. Cluster C is distinguished by crustose species with Trentepohliaceae photobionts associated with smooth barked Ilex. They include more widespread species Graphis scripta, Porina leptalea and Opegrapha vulgata together with non-lichenised NIEC species of Mycoporum. Our results indicate that even 300 year old plantations do not support as many specialist epiphytic species as the old growth woodland. The plots with highest numbers of notable species of old growth forest are all within parts of the forest within the two original main blocks of woodland with an ecological continuity greater than 500 years. The New Forest is one of the few places in lowland Europe where an extensive area of deciduous forest and heathland has remained over centuries. The woodland has been under wood pasture management for more than a thousand years, creating a mosaic of conditions across ca. 56,000 hectares of landscape, of which >3000 hectares are designated as ancient unenclosed pasture woodland or old growth forest (Tubbs 2001). Our findings that plots within the old growth forest have a higher epiphytic lichen species density and higher numbers of notable species than plantation plots of similar deciduous species agree with other findings across a range of forest types in Europe (Brunialti et al. 2013; Ellis 2013; Fritz et al. 2008; Johansson and Ehrlén 2003; Johansson et al. 2013; Rose 1976). Increasing species density is associated with increasing structural heterogeneity that has developed over time at tree-and stand-level in old growth forests, where there are trees at all stages of life and death (Ellis 2013; Dittrich et al. 2013). The relationship between woodland age, structural diversity and specialist lichen communities has been investigated in broad leaved forests in Sweden where the negative effects of fragmentation and loss of substrate on specialist lichens of old growth forests was demonstrated by Fritz et al. (2008) and Ranius et al. (2008), but these studies did not include plantations or plots of a comparable age to those found in the New Forest. The CCA identifies lichen species associated with Quercus, Fagus, Betula and Ilex trees in our plots. Most of the lichens identified in the CCA (Fig. 4; Appendix) as characteristic of cluster A, associated with Quercus, and with increasing dbh and plot age, are also established as indicators of ecological continuity in broad leaved deciduous woodlands of lowland England (Coppins and Coppins 2002). This group is widely distributed on ancient oak trees in the New Forest where the rough ridged bark and lower bark pH provides a different structure and chemistry from the smooth bark of both Fagus and Ilex. These ancient trees support a greater number of notable lichen species that are indicators of ecological continuity, as well as niche specialists of high conservation value (Woods and Coppins 2012). The New Forest is one of the few places in Britain where Fagus sylvatica is native, which is more characteristic of Central Europe (Rose and James 1974; Fritz et al. 2008). In Britain Fagus is often rather poor in lichen species but in the New Forest it supports a suite of epiphytic lichens that are rare elsewhere in Britain. Ilex aquifolium has been maintained to a great age in some parts of the forest by pollarding and is also positively associated with trentepohliod crustose lichen species as well as indicators of ecological continuity, including non lichenised species of Mycoporum (Sanderson 2010). The trentepohlioid crusts that distinguish the old growth forest plots in the New Forest include an element that is characteristic of warmer parts of Europe extending to tropical parts of the world, including species of Porina, Enterographa and Cresponea (McCarthy 2003; Sparrius 2004; Egea and Torrente 1994). These species are rare or absent from much of the UK and reflect the special bioclimatic position of the New Forest in the UK. How much have plots in these sites been influenced by external factors such as changing patters of management and by atmospheric pollution in a densely populated part of southern England? Extensive grazing of common land by a range of species including deer, ponies and cattle has been an important factor in maintaining a wood pasture environment over large areas of the New Forest that has continued for centuries since it was declared a Royal Hunting Forest (Tubbs 2001). Today it is managed extensively by the commoners as wood pasture and supports a range of habitats and species associated with ecological continuity (Sanderson 2010). Grazing is managed extensively by the commoners and although plantations have been formerly enclosed they are now openly grazed under a wood pasture regime providing a good habitat for epiphytic lichens (Sanderson 2010). This will encourage further development of epiphytic lichen communities in the plantations, which are now maintained as wood pasture. The New Forest lies between the cities of Bournemouth and Southampton, with a formerly active oil fired power station at Fawley on the Eastern edge of the Forest and numerous arterial roads bisecting the forest. One of the features of our survey is the low frequency of macrolichens and the absence of those with cyanobacterial photobionts, species that are characteristic of old growth forests and highly sensitive to air pollutants (Rose and James 1974) and which were formerly widespread in the forest (Crombie 1894; Rose and James 1974). Due to their reliance on liquid water uptake instead of water vapour alone (Lange and Kilian 1985; Lange and Ziegler 1986; Lange et al. 1986), their thalli are usually more or less hydrophilic, while many of the present lichens with Chlorophyta photobionts in the New Forest contain hydrophobic extrolites that prevent wetting during high episodes of wet SO2 deposition (Hauck et al. 2008). The absence of nitrophytic species (e.g. species of Xanthoria and Physcia) in our plots suggests that levels of atmospheric nitrogen compounds are at present low despite the major roads that bisect the forest. None of our sites were adjacent to the main arterial roads that cross the Forest so we cannot comment on this, but elsewhere there is plenty of evidence to show loss of sensitive species and an increase in nitrophytic species in sites adjacent to main roads (Davies et al. 2007; Larsen et al. 2007) so this is a potential cause for future change in lichen communities. The results of this survey of oak-dominated woodlands in the New Forest National Park demonstrate a positive association of Trentepohliaceae photobionts to increasing plot age and negative response to fragmentation and isolation. Lichens with other Chlorophyta photobionts (including those associated with common genera Trebouxia and Asterochloris) are negatively associated with increasing plot age. This difference is probably linked to physiological processes which are generally poorly studied for Trentepohliaceae-associated lichens. Trentepohliaceae are often the dominant photobiont group in the wet tropics and our results show that they also contribute a surprisingly high percentage of notable and threatened species in the old growth forests in this temperate lowland forest in the UK. The fungal components in these associations span various families and this confirms a constraining role of the photobiont for many species of conservation concern in the New Forest and more widely in Britain and in temperate Europe (Woods and Coppins 2012; Schöller 1997). More research on the genetic diversity of lichenised Trentepohliaceae taxa from those occurring in pioneer lichens to old growth specialists in temperate forests, as well as in situ studies on microclimatic niches and ecophysiological performance of different photobiont groups, are needed to enhance our understanding of the underlying processes of the observed patterns and their implications for conservation practice. This work forms part of the ‘New Forest Quantitative Inventory’ and was funded by a Grant from the NHM’s Annual Fund. We thank the Forestry Commission for permission to work in the National Park. Thanks to two anonymous reviewers for comments on the manuscript.